Marketing is one of the major fields of today’s world since the success of the product partially depends upon the marketing tactics that are being implemented by the brand. Marketing has become an important area which has to be in consideration along with the creation of any product. Many companies keep marketing budget in the revenue so that they can promote the brand according to requirement. 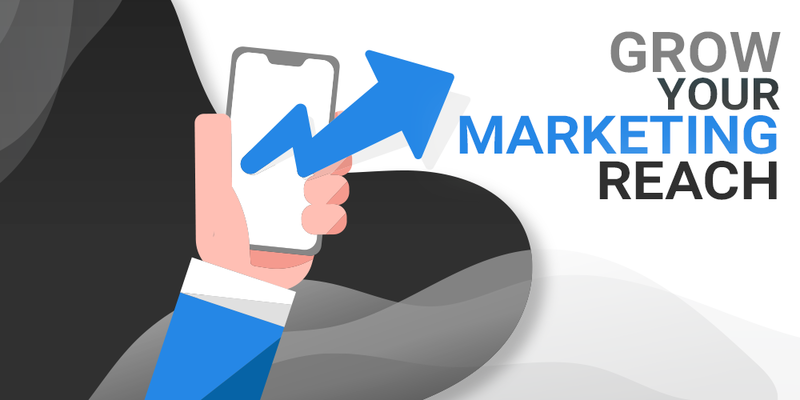 Marketing has a great influence on business and product since it helps to spread awareness about the product as well as attract customers to use a particular product while preferring a particular brand. It is certainly an exam of creativity since the whole message has to be conveyed in a style that can attract numbers of users and consume much time while proving the detailed knowledge. There are numbers of platforms that are being used for marketing purposes while there are numbers of applications such as Odoo marketing applications that can simplify it even more. These applications can certainly be helpful for making marketing fruitful. There are some easily accessible platforms which can be utilized for marketing purposes well. E-Mail marketing is also one the marketing approach through which brand can make people aware of the product on a large scale. It needs a bit of research while the target market is clear, one can achieve the most optimizing marketing goals. Usually, marketing goals are either increasing profitability or sales. In both cases, one must provide the content which must be influenced enough to attract the customers. E-mail might look outdated sometime, but they are still considered to be the most professional way to convey messages. It depends on the product as well as the target market that whether it will be more effective to do E-mail marketing or there must be another way. An option of marketing automation is also available on a platform of digital marketing. One can be relaxed about sending awareness messages to right audience while systems will do the whole process themselves. It is certainly an optimizing approach which can release a lot of burden from a marketing aspect. Odoo also offers these automation applications which can enhance your marketing strategies to next level. It is one of the most important tactics of marketing no matter whatever approach one is using. The target market must be clear on the very initial level so that one can research on the platform that would be effective for that particular group of customers. Research on target market is as important as the profitability of the product since selling depends upon them. If the brand is not clear about the intended audience, it could be hard to hit any particular group of customers which can eventually mess the whole process. Using trends is one of the best approaches to draw customers attention towards anything while using some trending platforms can help to make customers note your product. So ultimately it makes your marketing smart. It is certainly important to give exclusive attention to marketing because the market is way too competitive and one must prove that why a particular product is better than others.